Just in case you haven't heard!! For those of you who don't know me personally I am a party over-planner. I start planning and visualizing my parties at least 6 months out so this short time frame is freaking me out a little and I simply cannot wait any longer to start planning my #DisneySide party. First on the agenda is choosing a theme. I wanted something a little off the beaten path that would show my fun #DisneySide. At first I considered having a Disney Nerds party using my Disney Nerds Party Board as a starting point. Ashley and Dakota weren't feeling it (I will save that theme for when I finally get to meet all my Disney Blogging Family). Then I considered a Walt Disney World party theme, again the kids weren't very excited and with my time limitations it was way too big of a topic to cover. But it is a great theme for a new Disney Party Board. Photo courtesy of The Disney Vault. 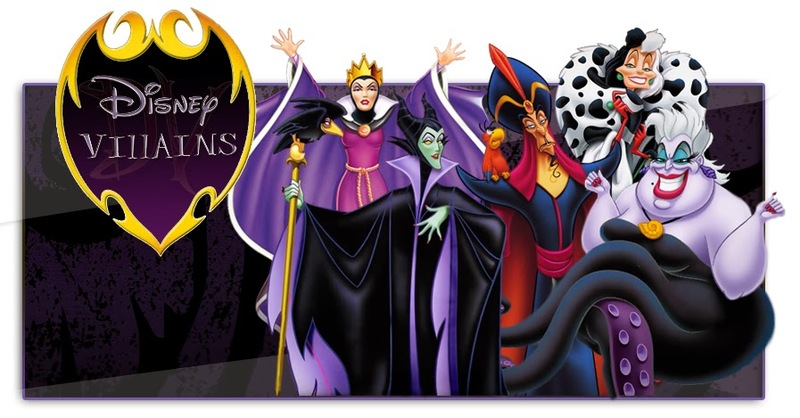 I hope you will join me, Maleficent, Queen Grimhilde, Jafar, Ursula and Cruella as we plan the festivities from perfectly devilish invitations to our fiendishly dark celebration. We will be sharing our journey on Facebook, Twitter, Pinterest, Instagram and here at Disney Donna Kay. Thank you Diane!! You know I am a huge fan of Disney Parties and if I ever win the lottery I am throwing a huge one for of my Disney besties - like you!! Can't wait to read all about your party!! I LOVE planning parties too and I'm totally an over planner. You're not alone planning six months out. My daughter's bday is in June and I've already started to plan her party! LOL I was selected to host a Disney themed Lego Duplo party back in the fall. The time constraints had my belly doing flips but it was so much fun! Good luck with your planning, and have fun! Just curious, how did you get picked to host a #DisneySide party? Hi Amy! There was a application process where you filled out a survey. Be expecting a lot of #DisneySide parties between Feb 15 and March 1st. I would love to see your Disney Lego Duplo party, can you send a link? Thanks!! I cannot wait to see what you do with your villains, (but you are so not one of that gang)! You picked a creative theme that really does give you so much material to work with. See you on February 15th!! What a fun theme! Coming up with a theme was the hardest part. I, too, suffer from party over-planning. My son's birthday is in April and his Cars party is already planned. Can't wait to see how it all turns out! Thanks Lisa!! I usually do pretty good under pressure so now I will go crazy searching everywhere for Disney Villains. I can't wait to see what you decide for your theme, I know it will be awesome!! This sounds like so much fun Donna Kay! What an awesome theme! I love the villains. We were in Disney for the Friday the 13th Villains limited time magic event at Hollywood Studios this year and it was so much fun! Can't wait to see how the party turns out! Love this idea! I can't wait to see what ideas for decorations you come up with! Great theme! I can't wait to read all about it! It's going to be epic! !